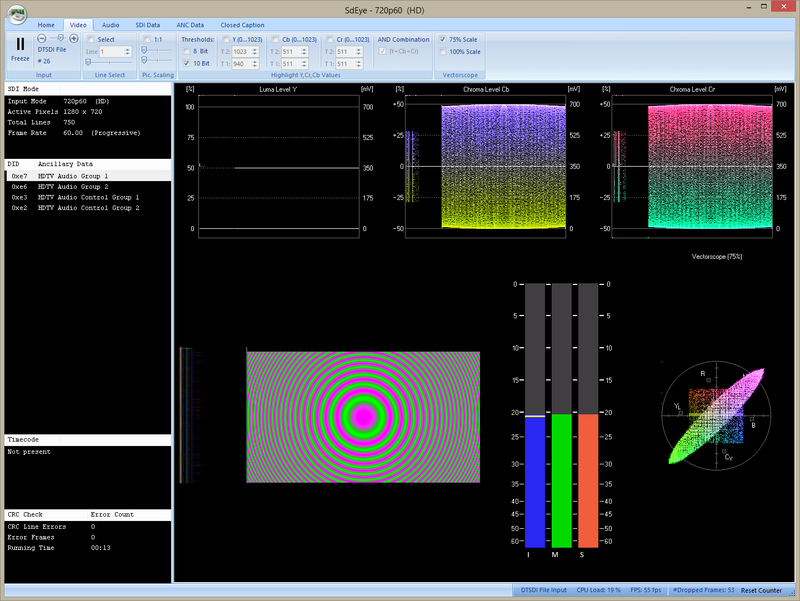 Complete set of tools for real-time and offline analysis of SDI signals up to 4K UHD. Shows all ancillary data in an SDI stream with new support for teletext. 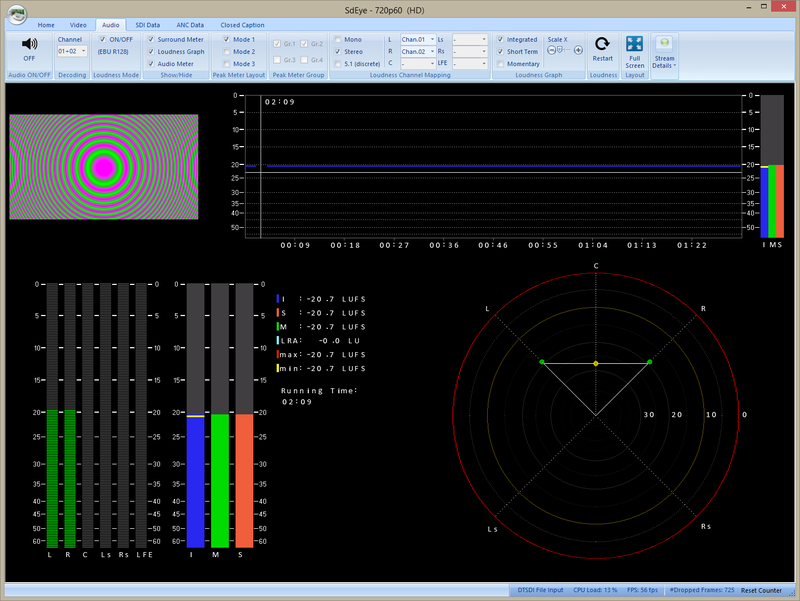 Real-time and offline waveform analyzer for SD-, HD- and 3G-SDI signals. Shows all streams found in HANC and VANC. 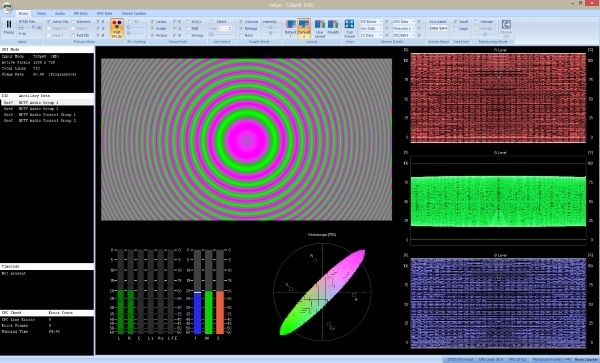 Combined with a DTU-351 and a notebook makes for a real portable waveform analyzer. Together with a DTU-351 and a notebook, SdEye makes for ultra portable SDI waveform monitor. 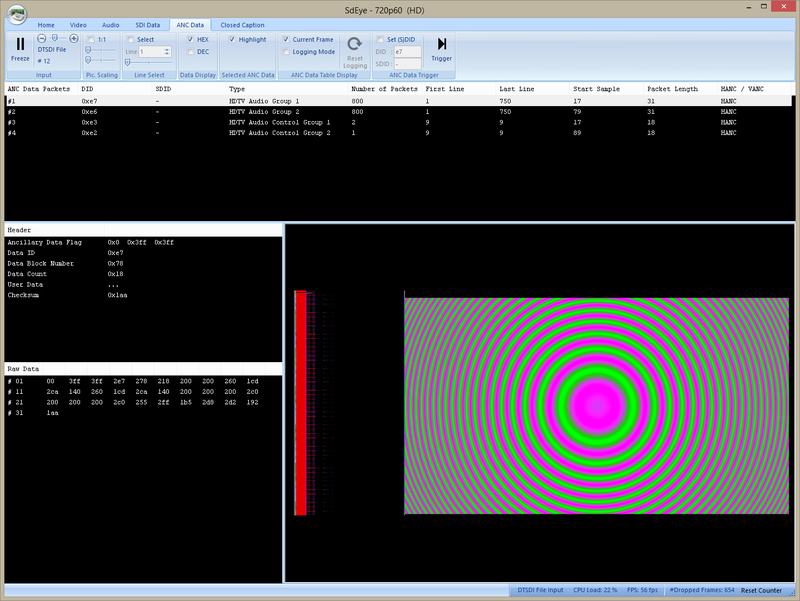 Combine SdEye and the StreamXpert to get a complete set of tools for analysis of compressed and uncompressed digital video signals.